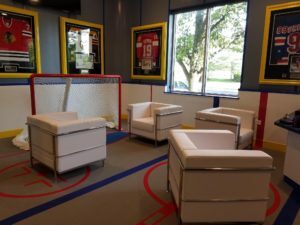 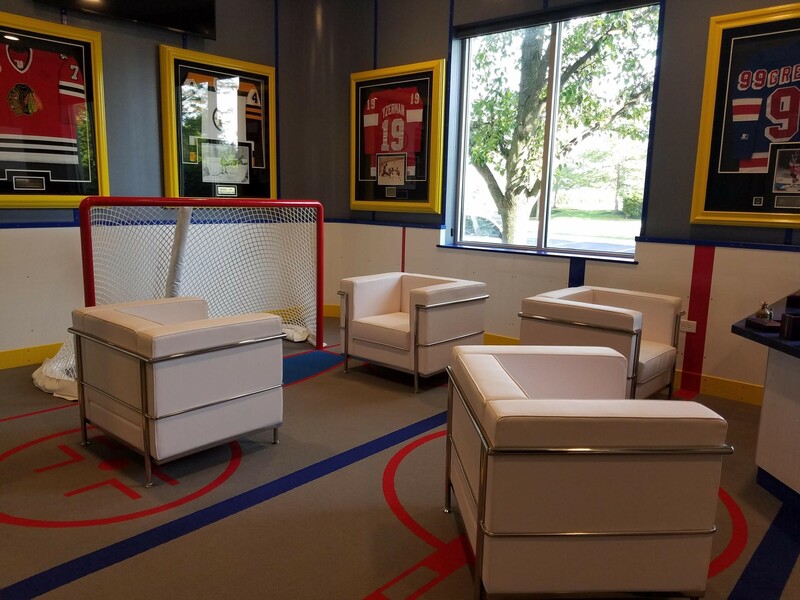 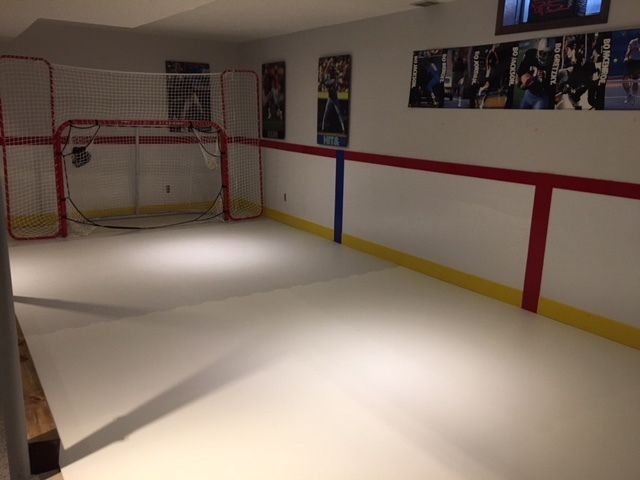 Kick Plate, Dasher Board, Top Stripe options and all puck board arena board material are keys to assembling your Rec Room Rink or your Backyard Rink and are paramount to your customization and look. 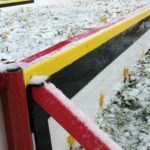 Most colors of your fav team, or your son’s and daughter’s team are represented here in Kick Plate, Dasher and Top Stripe. 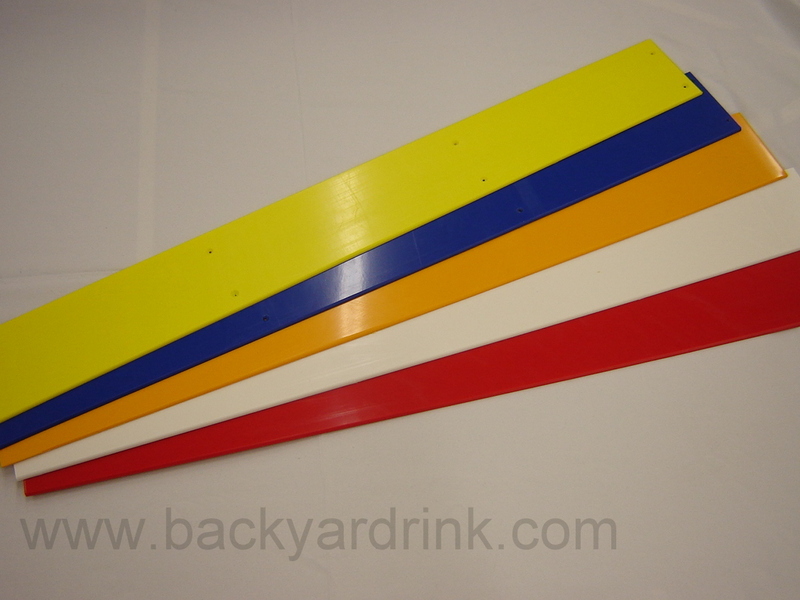 Size is 5.25″ x 48″ long x 1/4″. 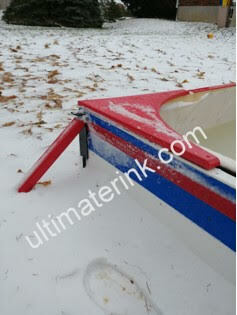 Full 96″ (8′) are also available. 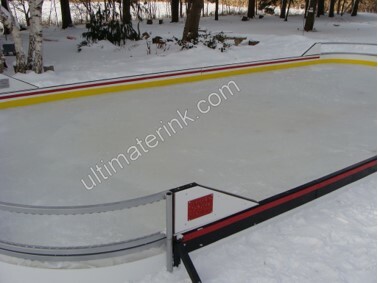 Call the office 800 448 6648 for pricing and delivery options on the 96″ (8′) sizing. Order as you need for either Top Stripe or Kick Plate/Dasher. 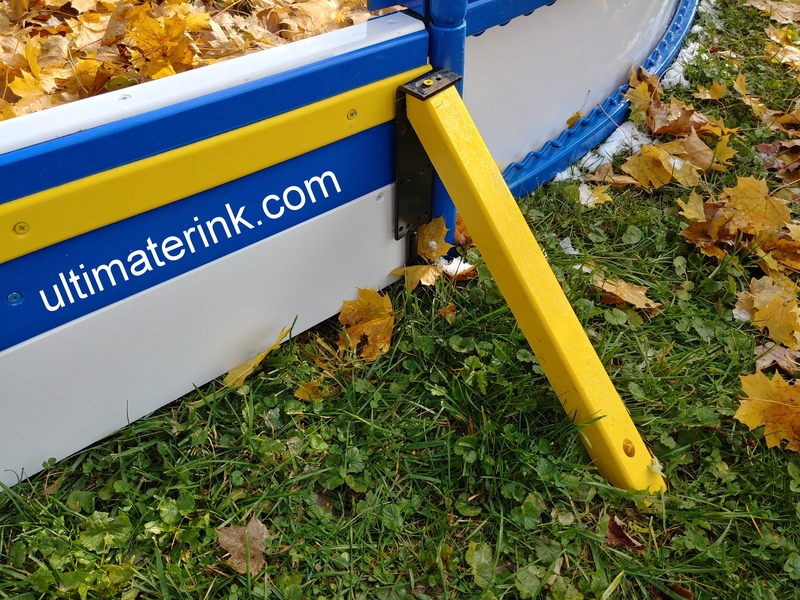 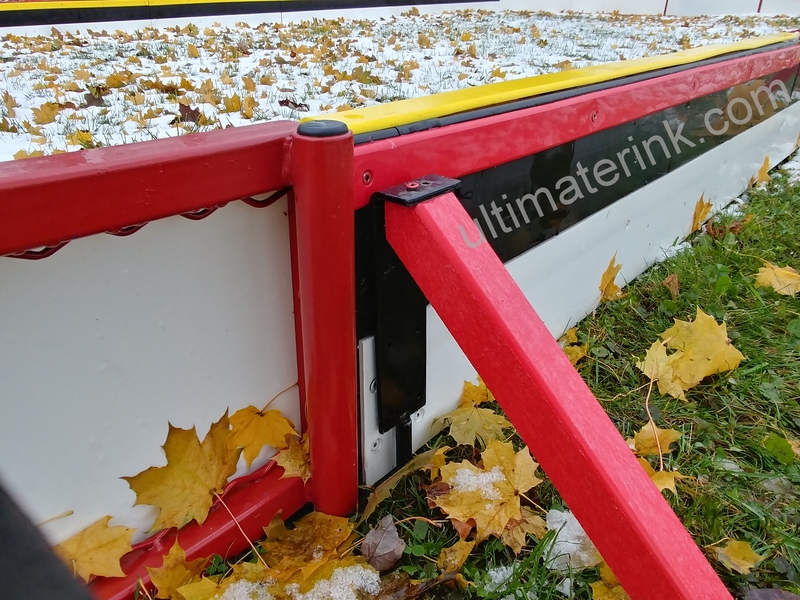 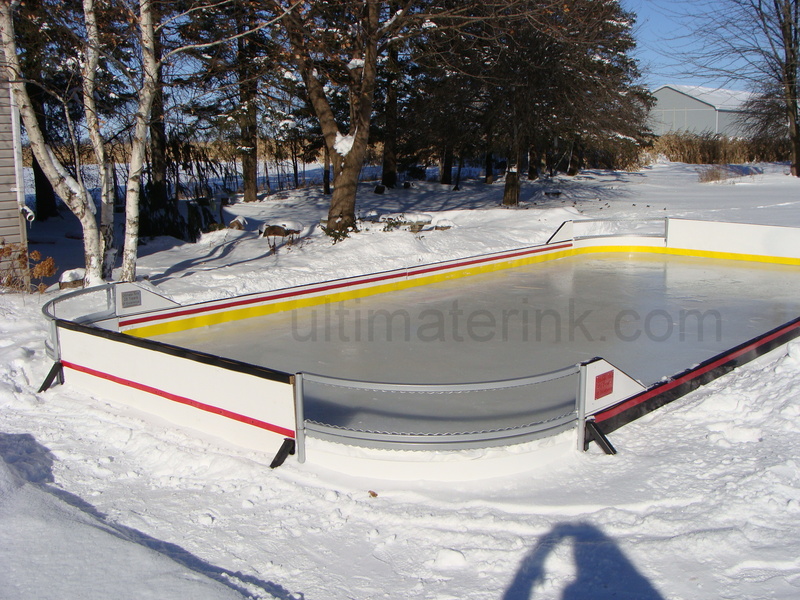 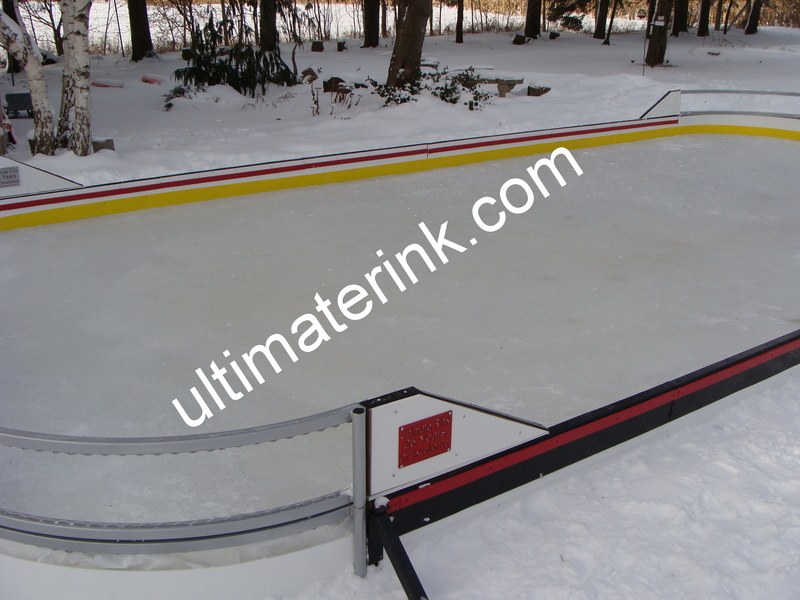 Get the Ultimost from your Ultimate with Kick Plates, Dasher Board and Top Stripes. 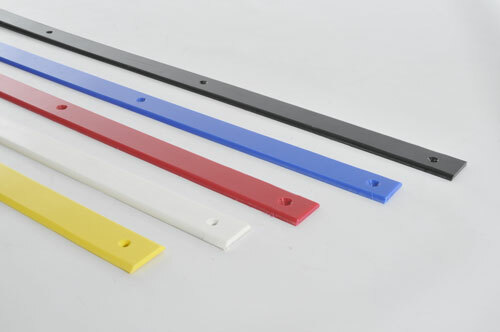 Select your size and color with “choose an option”…..click on it, and the price will show up! 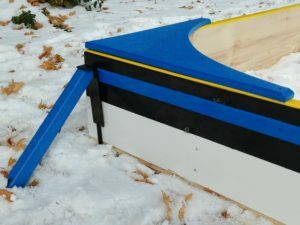 Kick Plate, Dasher Board, Top Stripe are all represented well in our puck board product lines including Top Edge Protect (TEP). We carry 7 different colors of accent puck board including Onyx Black, Leaf Blue, Wings Red, Bruins Yellow, White, Grey and Lemon Yellow as shown. 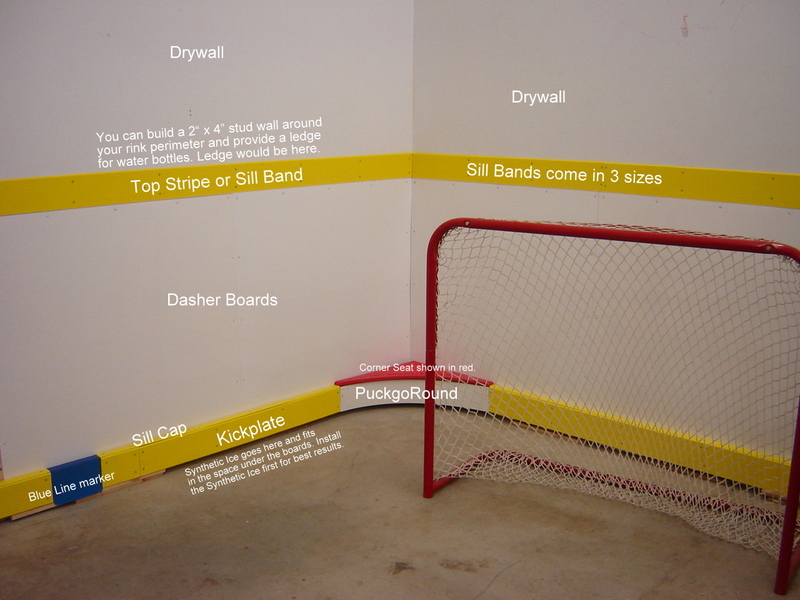 The colors are not exact duplicate to those teams as mentioned but a very good representation. 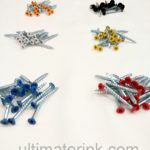 A stunning customization is at your fingertips. 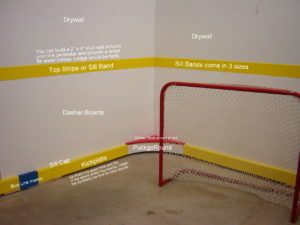 We have what it takes. 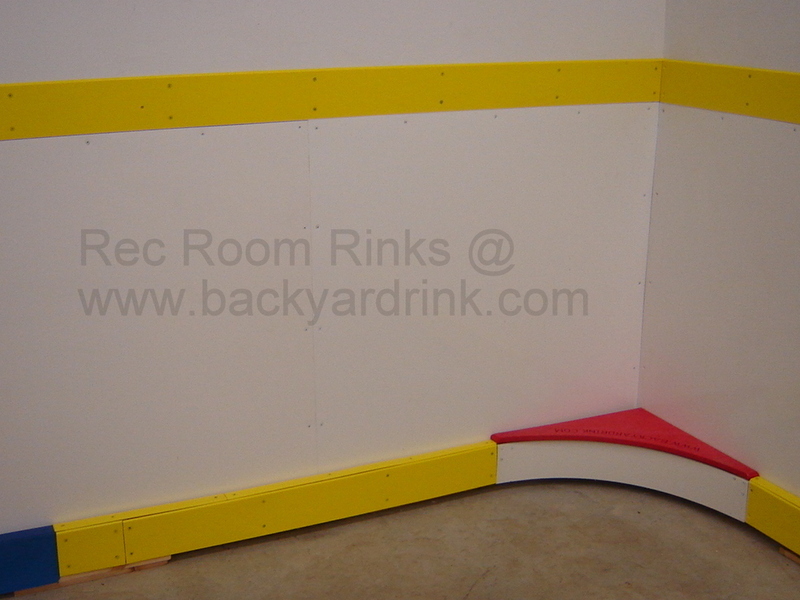 Presto install Kick Plate, Dasher Board and Top Stripe options and easy ordering of functional products that can be used in either your backyard or Rec Room location is paramount in today’s world. Footnote. 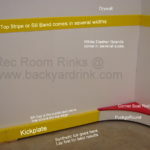 In the Kick Plate, Dasher Board and Top Stripe product gallery you will see our Line kit. 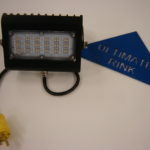 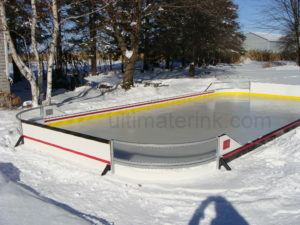 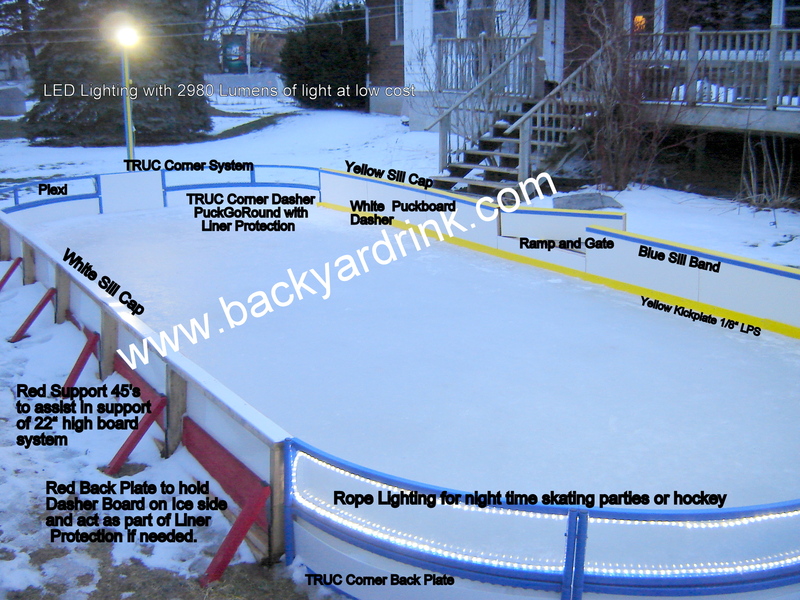 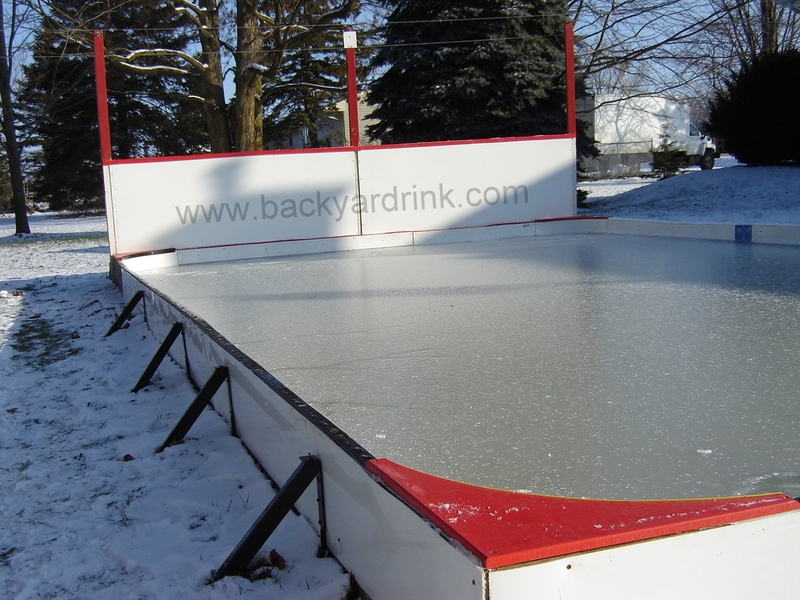 This is available for those who wish lines on either their Backyard Rink or their Rec Room Rink. 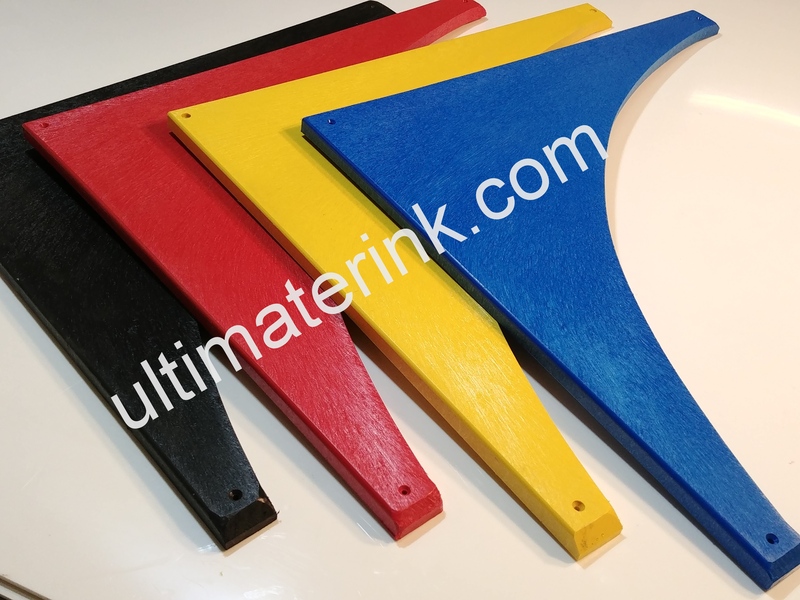 They are assembled as per picture in the gallery and in conjunction with your puck board Kick Plate, Dasher Boards and Top Stripe and are available in the Hockey Stuff Section Also Shown in the gallery are 5 colours of T.E.P. and they appear in the Ultimate Rink Accessories section. 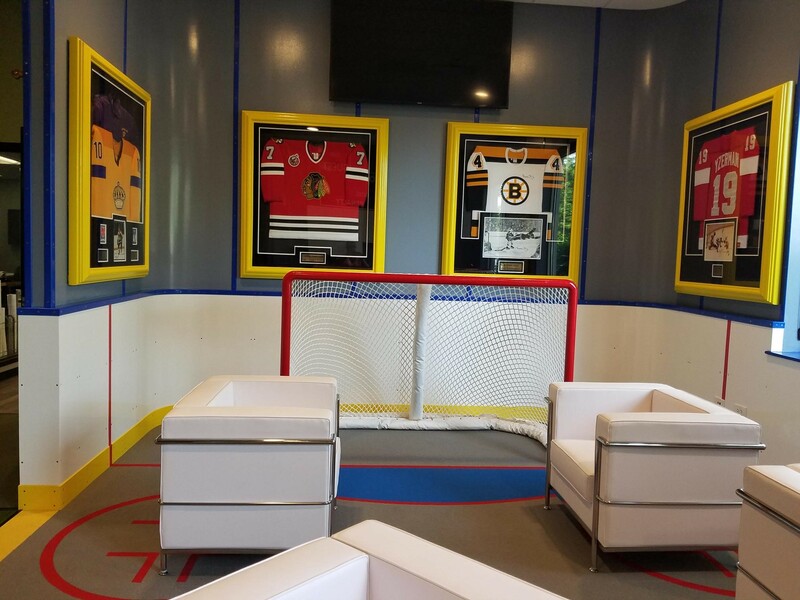 Excluded in the gallery is Bruins Yellow. 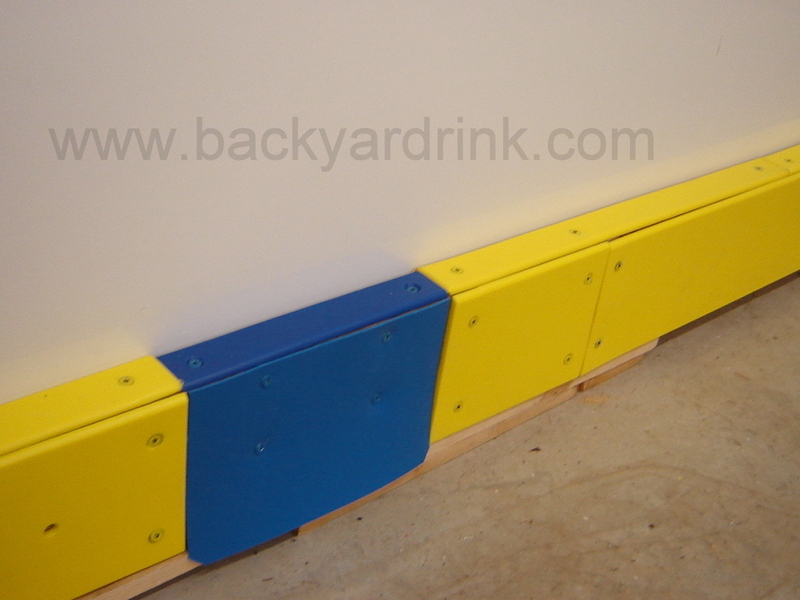 The amazing Corner Seat in 4 colors is also shown there. Any questions or help needed, you are still number one after the sale is done. 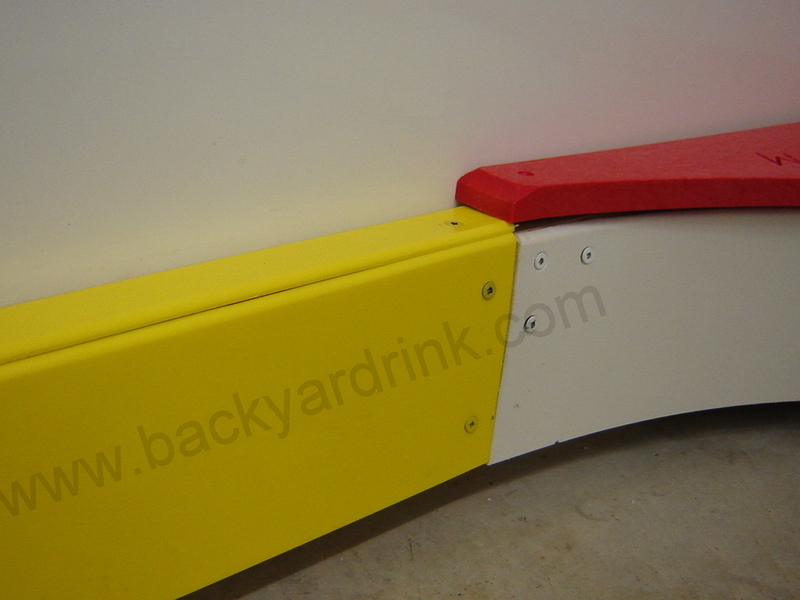 You decide whether you like the Kick Plate, DasherBoard option or the Top Stripe option or both. 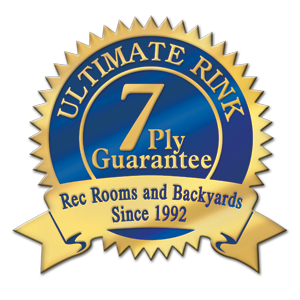 Resident rink Guru with over 25 years experience at 1 800 448 6648. 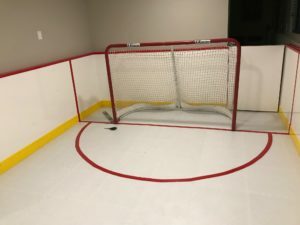 A True Master. 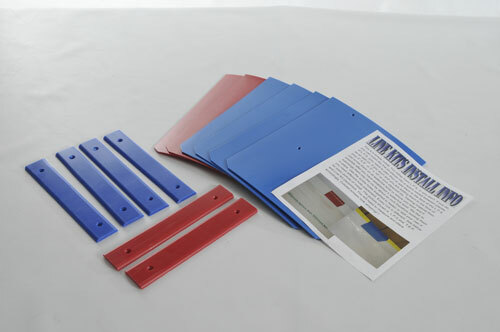 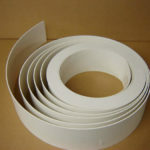 7 7/8″ x 96″ and 7 7/8″ x 48″ lengths also available in 1/4″ (.220). 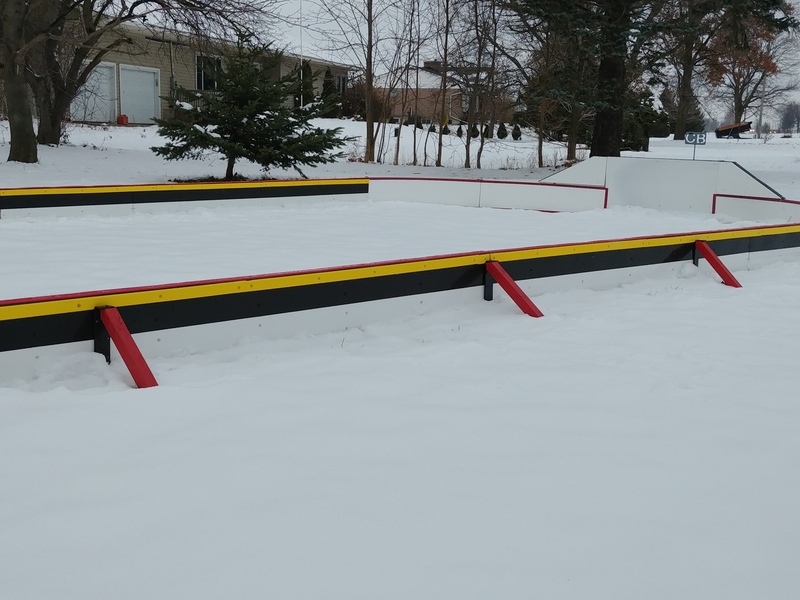 This is the regulation width in many jurisdictions.